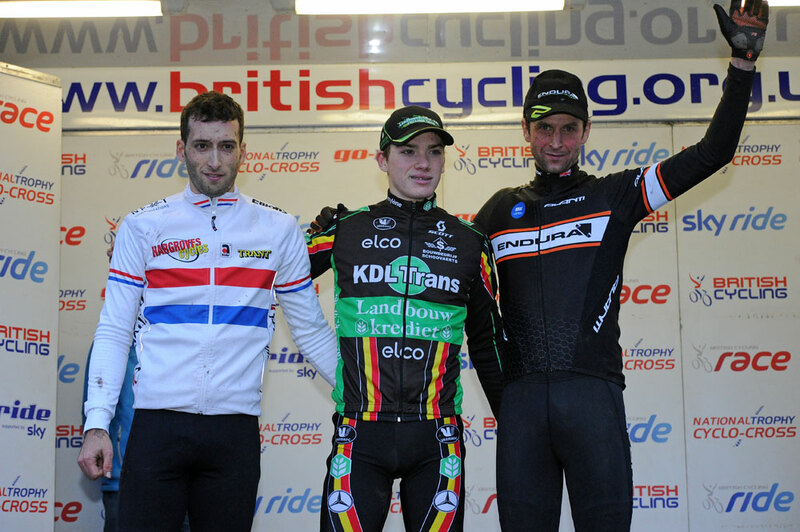 Endura MTB Racing’s Oli Beckingsale secured overall victory in the National Trophy cyclo-cross series with a strong ride in the final round in Derby on Sunday. Beckingsale had led going into the final race at Moorways Leisure Centre, and only had to finish above rival Paul Oldham to be sure of the win. But with Oldham struggling after dislocating his shoulder while racing the previous weekend, Beckingsale took the title with some ease – although race victory eluded him with Belgian Joeri Hofman crossing the line first. 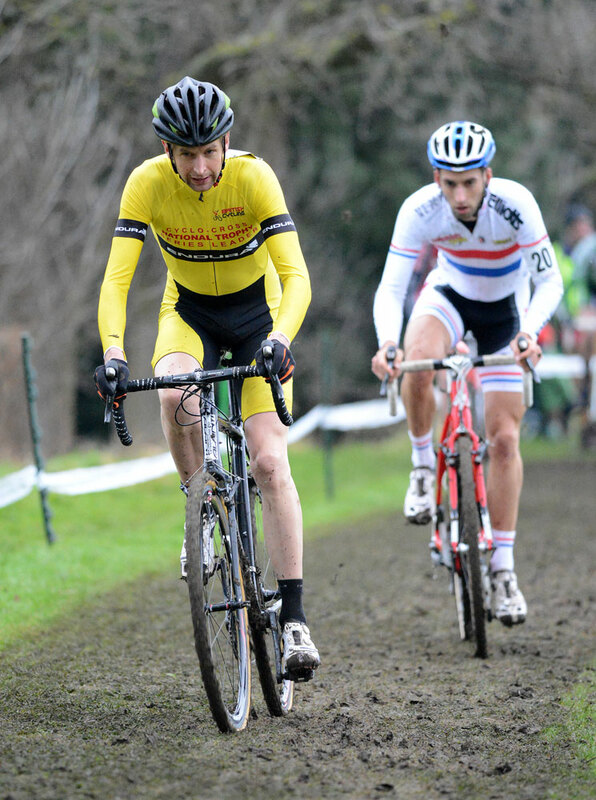 After sharing the lead early on, Ian Field (Hargroves Cycles) and Beckingsale soon had Hofman to contend with, and although he overhauled them, they managed to keep him in view. Beckingsale was making it difficult for the man that made it look so easy in round five and it took something special to clinch the win. As Hofman approached the hurdles for the final time, he elected to bunny-hop them and this gave him the gap he needed to be rid of the Brit. But Oli still had plenty of fight in him and as he pushed, he crashed on a corner. Although it allowed Field to catch him, he still crossed the line in third and celebrated his overall win. “I enjoyed the race, the conditions were on the edge – it wasn’t a mud bath but not dry, just really slippery,” said Beckingsale. 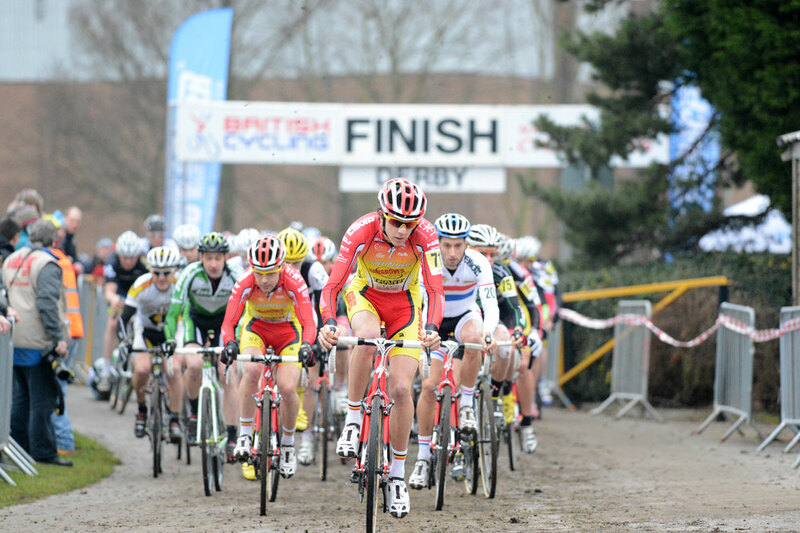 “It was a good cross course with lots of turns but I couldn’t get the power down. The under 23 title was Adam Martin’s (Cestria Cycles RT) to lose going into the final round and unfortunately for him, that’s exactly what happened. Hargroves Cycles’ Steve James, who finished tenth overall, did enough to secure the under 23 mantle after Martin retired from the race on the final lap. 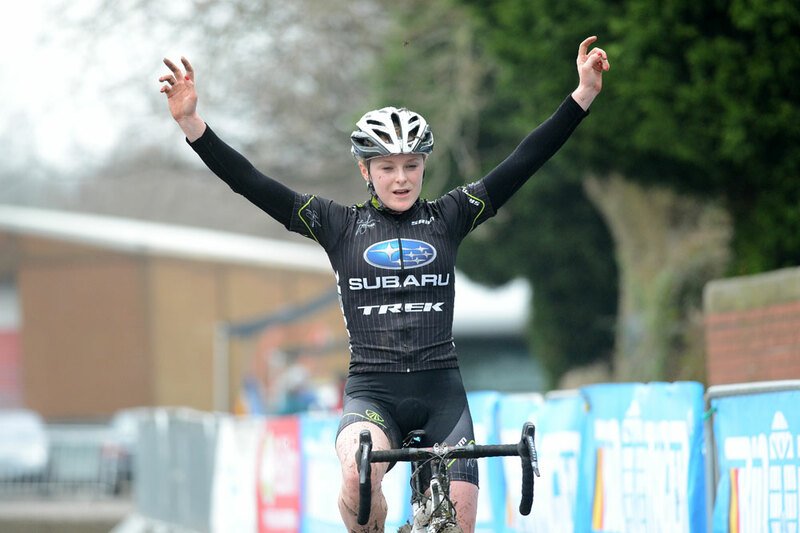 A great ride from Annie Last of the newly-formed Trek Factory Racing meant that Isla Bikes’ Louise Robinson was denied a perfect scorecard in the Trophy as this was the only round that the 47-year-old didn’t win – although she still raced to second place and took the title. In other categories Jack Ravenscroft (Solihull CC) took the junior title, and it was Team Jewson’s Darren Atkins who walked away with the over 40 honours while Steve Davies of Hargroves Cycles took the vet 50 award. Elsewhere, John Whittington secured victory in a seventh round of the Western League when he won the final race at Beaufort School in Gloucester on Sunday. Second-placed Stuart Pickering, a 48-year-old rider with One and All, was more than six minutes back and the only rider that Whittington didn’t lap. And in round ten of the Central League in Abingdon, Matt Webber (Hackney GT) took victory by 1-38 from veteran Sean Williams (Wightlink-Offshore), while Williams’ team-mate Sarah Woods was fastest woman.